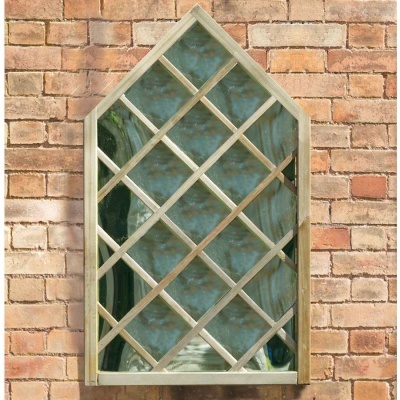 Zest 4 Leisure Bluebell Garden Mirror provides an attractive solution to enhancing an otherwise unattractive external brick wall. Garden designers encourage mirrors in gardens to create an illusion of enlargement to expand a small garden setting, especially on a balcony, patio or small terrace area. 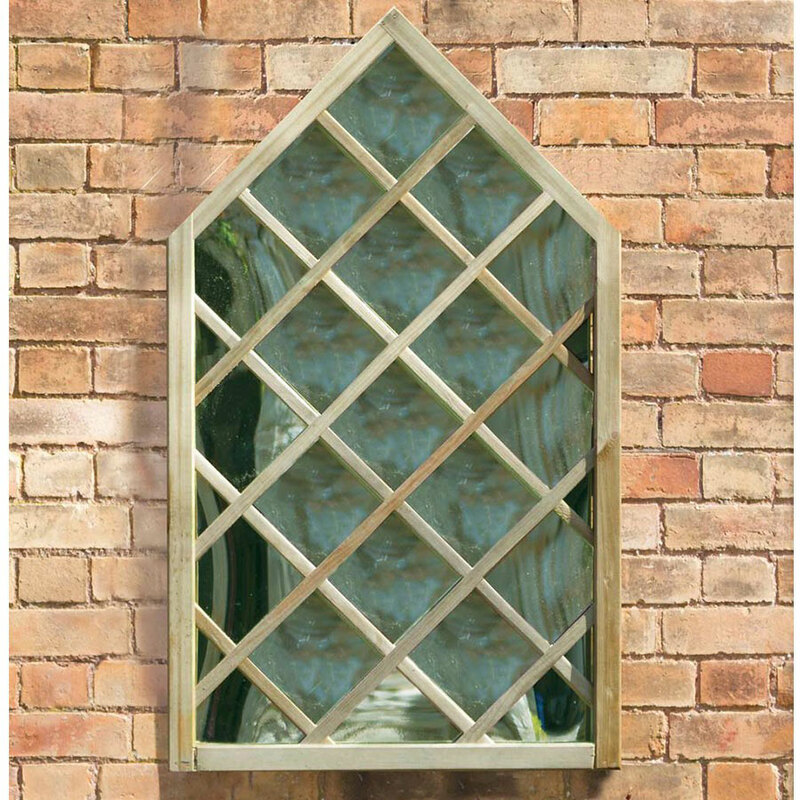 The Bluebell mirror benefits from a diamond trellis effect over a mirror backdrop to create a depth to an area, creating a garden beyond a wall. Beautifully constructed from FSC Certified pressure treated timber, framing a mirrored backdrop.